In the round’s central match, the two sides sitting in the top two spots will meet. Shakhtar are five points ahead of Zorya, being the only team who have kept clean sheets in the current league season. On Thursday, Donetsk and Luhansk had Europa League games. The Pitmen beat Braga 2-0, with Zorya suffering a 1-0 away defeat to Manchester United. After being suspended, Fred reappears for the Orange-and-Blacks. After beating Dynamo away, Zorya are one point ahead of the Kyiv side. Luhansk have won a total of 6 games this league season, with two draws and one defeat (at the hands of Dnipro in the 6th round). Last weekend, the charges of Yuriy Vernydub beat Vorskla 2-1. The team’s top scorers in the current season are Oleksandr Karavayev (4 goals) and Željko Ljubenović (3). 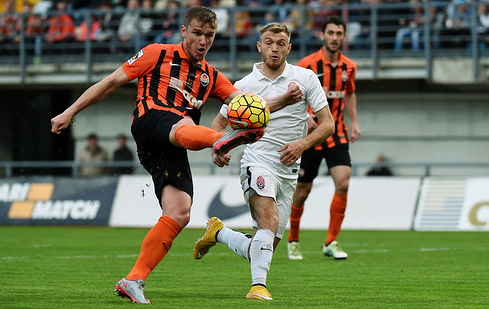 Zorya players on loan from Shakhtar will not be able to play in the upcoming meeting. You can buy tickets for the match online, at the Slavutych-Arena ticket office, as well as at the ticketing outlets of the concert production agency Musin.Art.Grupp in Zaporizhya and the Oblast. Accreditation passes for Shakhtar’s 2016/17 home games are valid for media representatives. 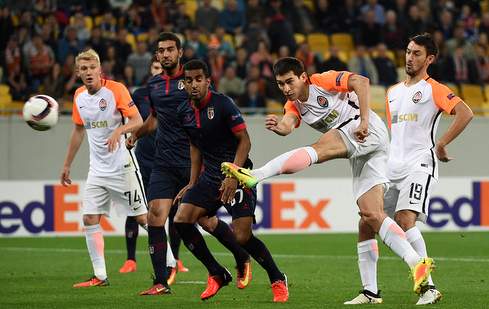 Additional applications can be mailed to press@shakhtar.com through October 1. The teams had a total of 28 meetings in the domestic league. Shakhtar won 24 times, Zorya claimed four wins. The goal difference is 77-15. The Donetsk team won 11 out of 14 home games. Another three were successful for Luhansk. The goal difference is 34-8 in favour of the Pitmen. The teams faced each other in last season’s closing league round. On 32 minutes, Ferreyra brought Shakhtar in front, with Zorya responding in the second half with two goals by the substitute Andriy Totovytskyi. Later, Gladkyy levelled it, however, the same Totovytskyi scored a hat trick on 82 minutes to seal the win for Luhansk. Interestingly, this meeting took place before another meeting between Shakhtar and Zorya in the Ukrainian Cup final, which was won by the Orange-and-Blacks (2-0). The last three Premier League meetings between the opponents took place in Zaporizhya. The Pitmen’s goal-scoring streak kicked off on August 28, 2015, comprising 29 games (88 goals). Ivan Ordets boasts 49 appearances for Shakhtar.